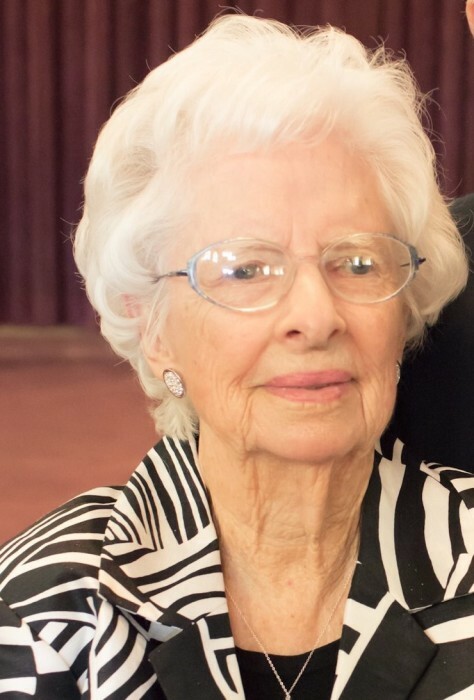 HARDING, Evelyn Stanton- age 102 of Lebanon formerly of Silver Point, Tn. passed away Sunday, March 31, 2019. She is preceded in death by her parents, George Mizell Stanton & Della Sanders Stanton; husband, Henry Goodwin Harding; brother, Fowler Stanton. Survived by daughters, Judy Dyer & Nancy Perry; grandchildren, Jeff (Gloria) Perry, Amanda Perry, Laura Dyer, Amy Carver, & Julia (Brian) McDonald; great grandchildren, Silas McDonald, Judah McDonald, & Caleb McDonald; special cousin, Garland Stanton. Evelyn was a member of College Hills Church of Christ. She attended Baxter Seminary & Tennessee Tech. She was a homemaker and worked as a substitute teacher. Visitation will be held on Thursday, April 4th 10:00 a.m. until funeral service at 11:00 a.m. in the Partlow Funeral Chapel. Graveside service to follow at 1:00 p.m. in the Cookeville City Cemetery in Cookeville Tenn. Family & friends to serve as active pallbearers.